It’s indeed very hard to resist a fatalistic approach to what’s happening to mankind nowadays. I should stop lamenting this, and thank you for the way out. My mind is now making connections between realities and our depictions. 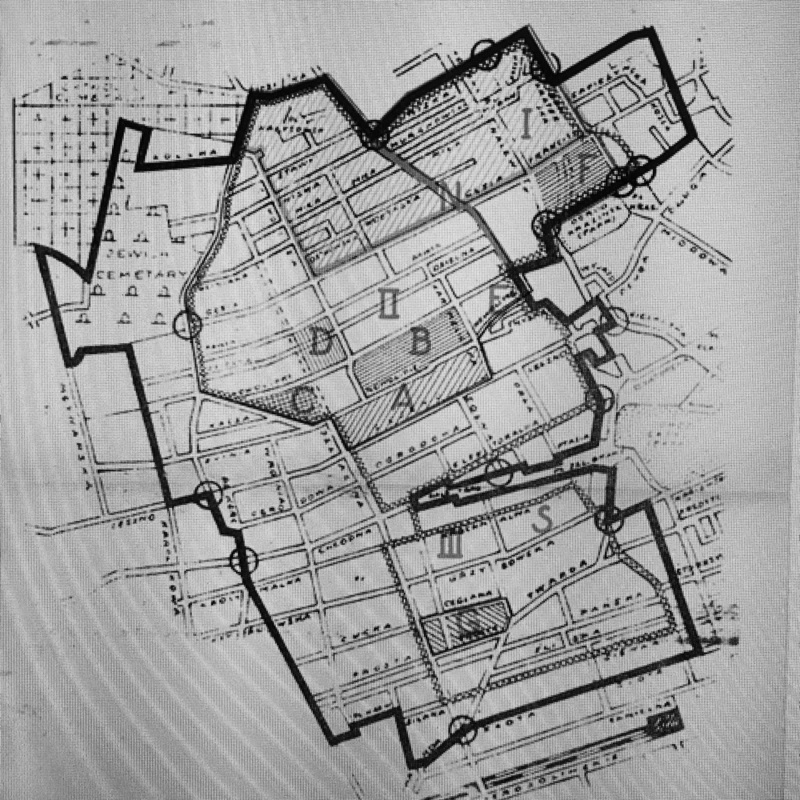 The borders of the Warsaw ghetto constantly being adjusted. The secret mapping so crucial to the ZOB, the Jewish Combat Organization, for their plans and hopes. Conversely, the public mapping crucial to the Nazis. Reality defines the map. The map defines reality. Your image of a revolutionary sends me a powerful message of disobedience. The person in arms strikes me as a child, forced to act older than his age. A depiction of a singular heroic moment, filled with the purity of anger. Hope, the opposite of history. What we wish for, connected to what we cannot escape. Both shape us more than we can imagine, disobedient or not. The powerless angel yet again. What would it take for me to pick up a weapon? What if it were astonishingly little. We all know civilisation is a very thin layer that conceals our aggressions., Perhaps we resent that. Imagine there were to be a call to arms. A revolution. You are required. I’d be ashamed if I were a coward; embarrassed if I were a fanatic. Are we the mountain that gets carved out piece by piece, dying the death of a thousand cuts, pieces scattered over the globe, a diaspora? Or are we instead each a single marble block cut from the mountain, true form slowly appearing, chipped away, turning into sculptures that look backward towards history, and forward towards hope? During a recent radio interview I was asked if I ever doubt my decisions, creative or otherwise. At least fifteen times a day I’m filled with unbearable uncertainty. Then a tiny victory, an invisible, necessary, personal act of disobedience against myself.